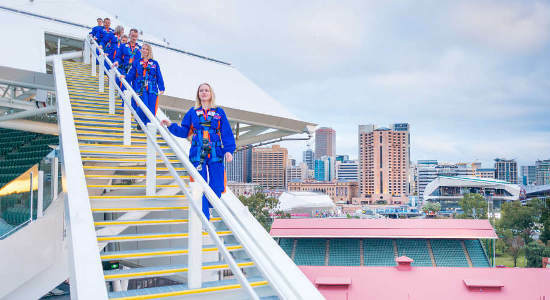 Adelaide is a beautiful city to visit, but giving someone the chance to take in views of the region and its famed Adelaide Oval from the roof of the sports stadium, is taking their Adelaide adventure to a whole new level. 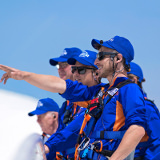 You can gift them the chance to get kitted up in a climb suit and clipped up in a harness to climb to the top of the Oval, taking in impressive views of its surrounds. Choose to gift a day roof climb or a twilight roof climb today for that next big occasion. 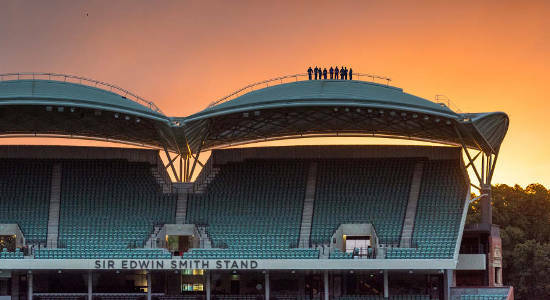 Gift someone this epic adventure atop Adelaide Oval. This day roof climb voucher will send them on a memorable experience for their next occasion. This Adelaide Oval Twilight Roof Climb experience voucher is a great gift for adventure-lovers. Buy this experience voucher online today & Gift It Now! "Experience 360 degree panoramic views of Adelaide and surrounds on a sky high RoofClimb adventure"